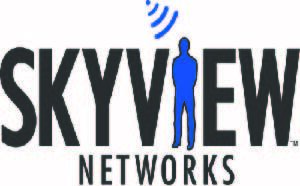 Skyview Networks’ innovative SkyCap technology has been an exciting new addition that helps capture the services we provide our partners. The National Basketball Association’s (NBA) Phoenix Suns became the first NBA franchise to partner with Skyview Networks for its SkyCap system at Talking Stick Resort Arena. At the start of the 2017-18 season, Skyview Networks’ SkyCap system was installed to capture all gameday partner activations and in-arena advertisements with high-definition video to auto-save clips by client in a searchable database. With SkyCap, the Suns are the first NBA franchise to provide its Marketing Partners the ability to review full impact of their partnership, proving contract fulfillment and showcasing the power of in-arena promotion. SkyCap is scalable and customized to each client’s facility. For the Suns, Skyview Networks installed four high-definition cameras to capture all video screen, LED signage and sponsored features inside the arena. SkyCap integrates with a venue’s existing screen software, reading the partners and air times to autoclip the high-definition video. With the system’s automation feature, little extra effort is required from the in-venue production team. The SkyCap database offers a quick turnaround in which it is populated with clips that are ready to be searched, downloaded and shared with clients. The franchise benefits are two-fold, both supporting the sales effort through the visual power of fan experience with a brand and proving contract execution. For more information on the SkyCap system and Skyview Networks’ suite of software solutions for broadcasters, visit skyviewnetworks.com.